"Depending on the story that you're telling, you can be relatable to everybody or nobody. I try and tell everybody's story." 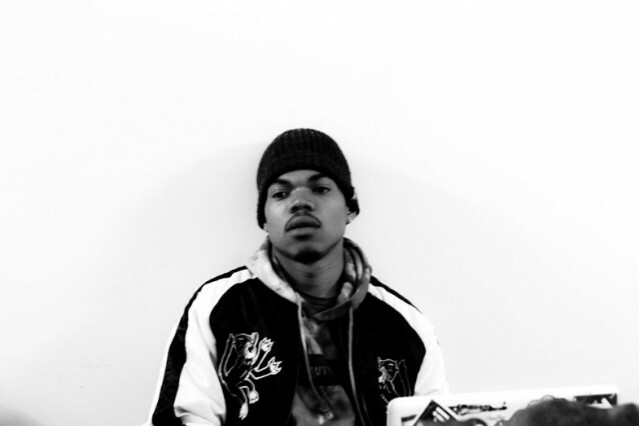 Who: Chance the Rapper (government name Chancellor Bennett) is the latest Chicago MC to take hip-hop by storm, and his newest mixtape, Acid Rap , has immediately turned the 20-year-old into the genre’s out-of-nowhere, emergent voice. His influences are easy to discern: warm, soulful beats and a sense of humor that’s straight Kanye West; meditative philosophizing filtered down from Kendrick Lamar; and a refracted, pinballing flow that recalls Eminem’s heyday; but the mixtape stuns because of its undeniable singularity. Bennett first laid the groundwork on last year’s debut #10Day; recorded while on suspension from Jones College Prep High School for smoking weed off-campus; and has honed his vision into rap’s most accomplished full-length since Lamar’s good kid, m.A.A.d city.